Homepage NeedleSmart News Our team at the recent Confed17 event. 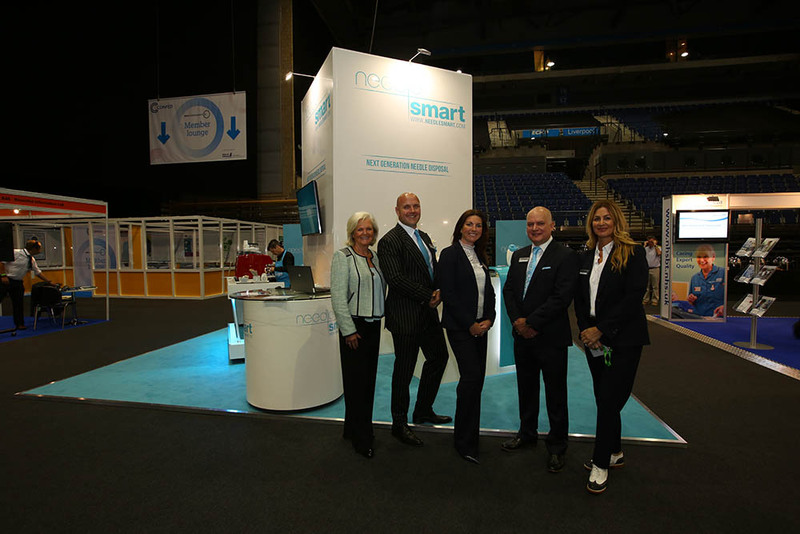 NeedleSmart were delighted to showcase our unique and patented technology in Liverpool ACC at the Confed17 event. Transforming a sharp, sterile, non sharp in just a fraction of a second ! Whilst our very own NeedleSmart barista served the best blended coffee at the show to all our visitors. Working with the Healthcare markets we are launching “sharp stations” to minimise NSI risk to both patients and Healthcare professionals while offering genuine operational and cost benefits to the NHS. Please do contact us directly if you would like to come a demonstration or if you require any details.